Google offers some exceptional services, but if you ever have an issue, it can be like pulling teeth to actually fix a problem. Contact forms to fill out, and settings to change. At MARION we have a master account with Google Adwords for our clients, and we recently decided to take advantage of the help services it has to offer. We were pleasantly surprised with the experience. Sitting on hold with Google listening to music about “waiting patiently” doesn’t really give you a sense that your problems will all be solved anytime soon. Waiting for someone to take your call can be stressful, especially if you feel like it may be a waste of time. You can imagine the surprise when an incredibly sweet woman (who was actually a real person, by the way) was introduced who did her best throughout the call to help with all our Google related issues, and wonder of wonders, she actually succeeded. 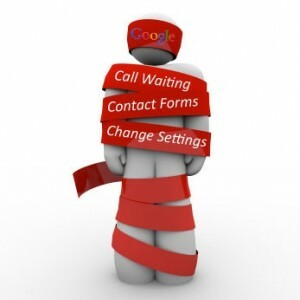 Through the contacts from our master Adwords account for our Houston online marketing clients, we’ve been able to successfully move the location pin over a client’s business on Google Maps, which had been in the wrong place for some time, and fix online site traffic reporting issues with Google Analytics. You can bet that we’ll be taking advantage of this service in the future for other clients. It really helps when Google knows you have a network behind you. Wouldn’t you like someone to work for you when you have issues with Google? Contact us today.